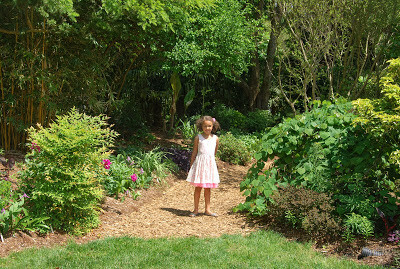 This year for Mother's Day, my daughter and I went to Juniper Level Botanic Garden. We've been there several times before, but it is always nice to see how things change and grow each year and in different growing seasons. They are only open 8 times per year, two weekends per season. I thought some time at the botanic garden would be a nice way to spend Mother's Day. We had a great time. They always have all kinds of paths, bridges, waterfalls, gazebos, ponds, garden benches, streams, rocking chairs, garden art, and of course all kinds of plants! We did find a peony or two. 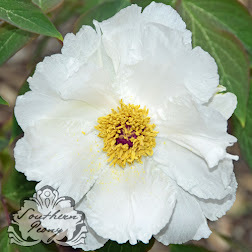 I did find one solid pink outer and center anemone type peony they had planted that was labeled Paeonia 'White Cap', and it is nowhere near the correct color of a 'White Cap' peony. I guess small gardeners are not the only ones to get mislabeled peony plants! Also they did have the Plant Delights Nursery greenhouses open as well. 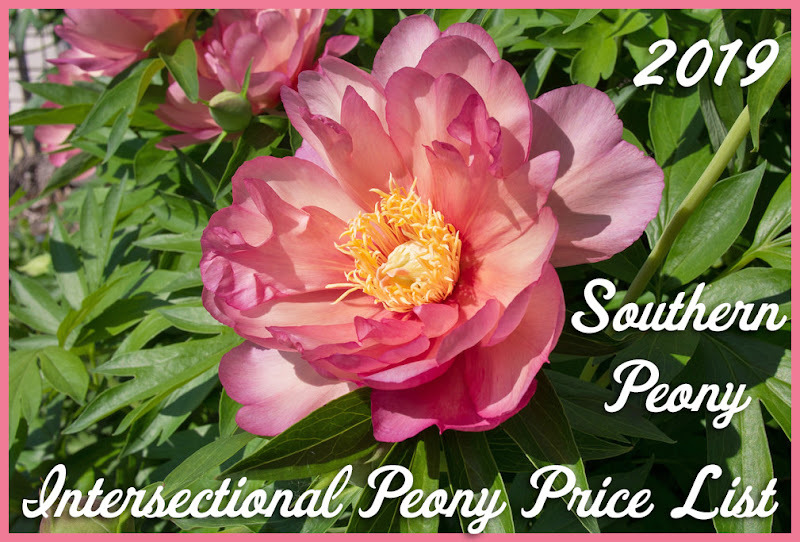 However all of the choice peony varieties had already sold out since this was the last day of the 2nd weekend of their spring weekend open house. I guess you have to go early if you want to buy something specific. I was happy just to walk around, traverse the trails, and watch my daughter happily spin her skirt and lead the way in the gardens! Happy Mother's Day!